Russia’s largest aluminum maker announced plans to invest $200 million to build a new aluminum rolling mill in Kentucky just months after President Trump lifted sanctions against the company, Bloomberg News reported Monday. 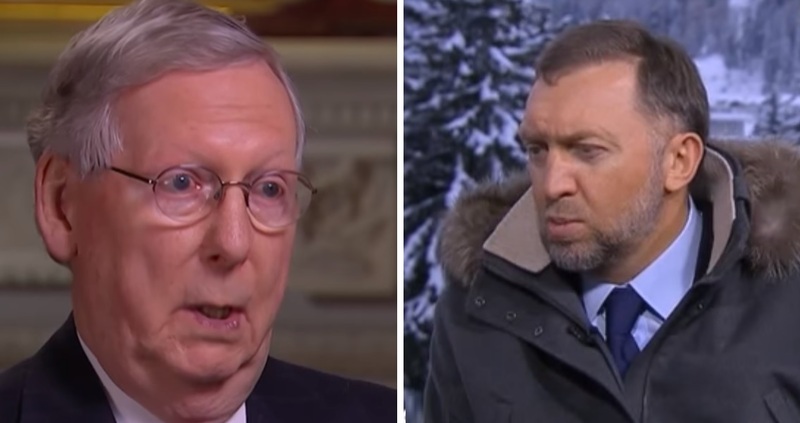 United Co. Rusal, whose largest shareholder is billionaire Oleg Deripaska, intends to build the new plant in the home state of Senate Majority Leader Mitch McConnell and will be the biggest new aluminum plant constructed in the U.S. in decades. Rusal will have a 40 percent stake in the facility which will be built and operated by Braidy Industries Co. According to the agreement, which is set to run for 10 years, Braidy would turn into Rusal’s biggest customer and give the Russian company a major foothold into the United States’ rolled-aluminum market, reports The Wall Street Journal. Rusal faced sanctions from the U.S. that effectively barred it from the global financial systems because of its ties to Deripaska. The Trump administration agreed to lift sanctions on Rusal after the Russian oligarch agreed to give up control, though he still owns the largest stake in the company. The billionaire aluminum magnate remains under U.S. sanctions, which were part of a series of penalties against Russia over its meddling in the 2016 election. Deripaska has denied the accusations and sued to get sanctions on him reversed. Braidy CEO Craig Bouchard told Bloomberg that he is not concerned about the perception of buying metal from the Russian company. “I’m aware of what happened, but it never entered my conversation or mind,” Bouchard said in a telephone interview.